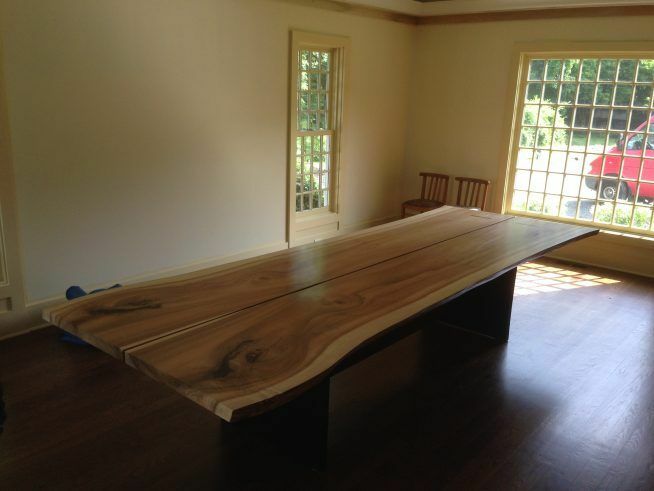 This table was built from a giant tulip poplar that was part of a historic entrance allee into Westport’s Long Shore Park. The tulips were planted 115 years ago and the last 15 of them had to come down in the spring of 2014. 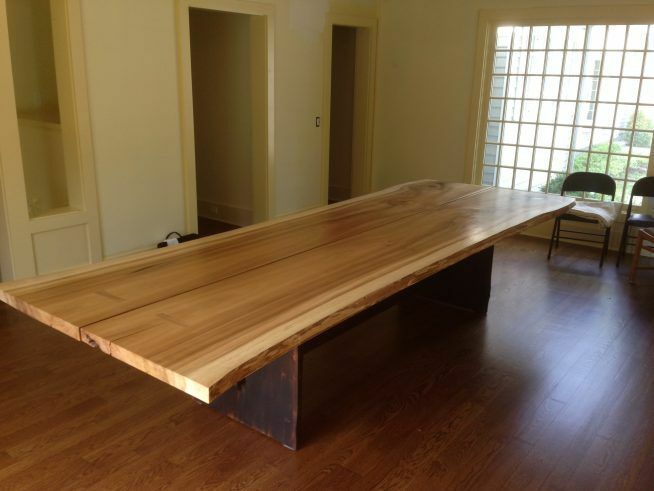 We were able to salvage some giant logs and have made a number of pieces from them. 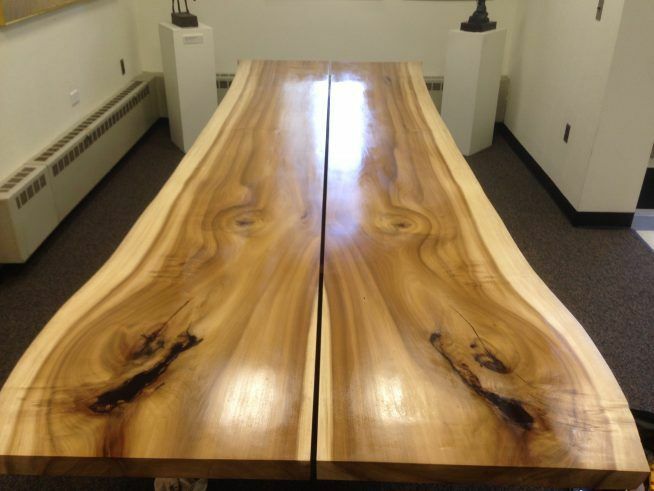 A number of the pieces were installed in Westport City Hall. 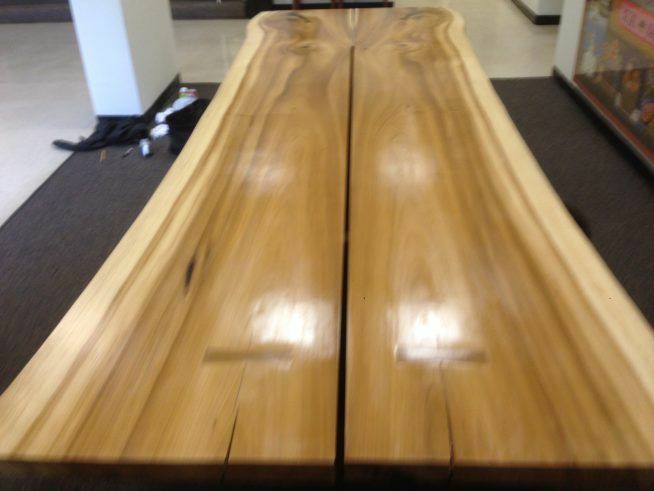 This table was bought by a Westport resident.